We at McGriff Insurance Services believe that outstanding insurance is just the start of a great relationship. We view our clients as partners with a goal of achieving a long-term relationship that allows us to support their success through changing times and evolving needs. We listen to you; we pay attention to your priorities; and we focus on the things you value most. We’re firmly rooted in the Hilton Head Island/Bluffton community, and our team is proud to join their friends and neighbors in building stronger, more vital communities. One of the agency’s strongest assets is their dedicated team of risk management professionals and client account executives. “Our folks combine decades of coastal insurance knowledge with our carriers’ resources to create comprehensive insurance portfolios. This really allows us to deliver customized, insurance-based financial solutions that minimize our clients’ risks and maximize their security,” Stauffer said. Theresa Wine and David D’Amico represent McGriff’s local commercial lines department. They offer a full array of insurance products and services to all clients ranging from small, family-owned businesses to multinational corporations. Stuart Bedenbaugh leads McGriff’s employee benefits department. He provides a range of benefit services and innovative solutions to help clients administer a complete, customized employee benefits package. 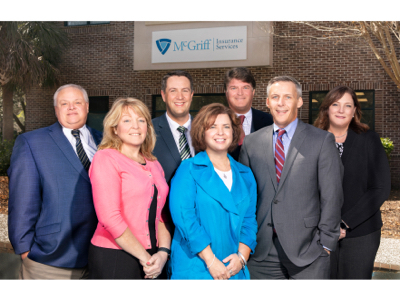 Kristin Walker, Tracy Molloy and Marc Ricciardi make up McGriff’s local personal insurance department. As family risk managers, they consult with clients to understand their needs and create insurance programs that offer ample coverage and protection. There’s one word missing from Premier Insurance Advisors sign—but please know that it is very much by design. You won’t hear the firm referred to anywhere as an insurance “agency,” for one simple reason. Insurance agents work for insurance companies. Premier Insurance Advisors does things a little differently. Part of being that counterpoint lies in being able to offer something most large corporate insurance agencies can’t: truly personalized coverages and services. As a brokerage firm, they enjoy access to hundreds of different products, giving Premier Insurance Advisors the ability to completely tailor coverage to the needs and risks of clients across the Lowcountry, whether personal or business. Informing that personalization is a collective 70-plus years of experience between the firm’s three founders, Paul Schmidt, Kevin Regan and Brian Knapp. 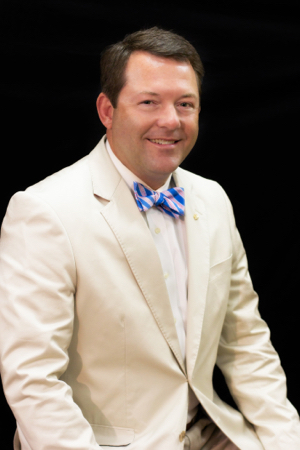 After leaving the Army and going back to college, Schmidt worked in insurance in Kentucky, including several years running his own successful agency. With his emphasis on personal lines, Schmidt sees the unique nature of his new firm as a way to educate clients on their options. Originally from Long Island, Regan also ran a large agency, but spent enough time in corporate insurance to realize there were limitations on what he was allowed to do for his clients. Instead Regan thrives on the way Premier Insurance Advisors puts an emphasis on direct consultation, where it’s not unheard of for one of the three founders to lay down complete coverage options and explain each right at a client’s kitchen table. “It’s the experience like our parents had with their insurance agent where they sat down and talked about things, not just put a piece of paper in front of you,” he said. Rounding out the trio is Knapp, who is the young gun of the group with nearly a decade of experience in insurance. He specializes in commercial lines, something that he feels also sets Premier apart from other insurance options. Likewise, since combining their experience, insight and passion for helping clients, the three founders of Premier Insurance Advisors have allowed themselves to be the best at what they focus on: delivering a customer-focused experience and personalized insurance with a human touch. Premier Insurance Advisors is located at 800 Main Street, Suite 110, Hilton Head Island. For more information, visit www.premierinshhi.com or call (843) 689-5300. When you become a Farm Bureau Insurance customer, you aren’t just another anonymous policy number; you become a member of the Farm Bureau Insurance family. One of the great benefits of that membership is affordable, reliable insurance from a company with a proven reputation for providing the highest level of customer service including fast, fair claims handling. 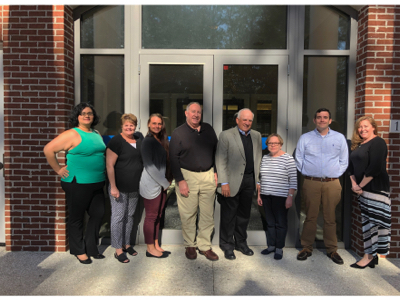 With more than 39 years of combined experience among them, Beaufort County agency manager Marty Sauls and his team have the expertise to help you find the right type of insurance coverage best-suited for you and your family. With a wide range of insurance and financial services available, including but not limited to auto, home, life and health insurance, they can assist individuals and families at any stage of life, whether you are just getting started or planning for retirement. Born and raised in the Lowcountry, Sauls and his team have a deep understanding of the unique needs and challenges that come with living in a coastal county and have a variety of options to help clients find the coverage they need. If you’re not already a member of the Farm Bureau Insurance family, talk to your friends and neighbors. Many of them may already be Farm Bureau Insurance customers and can tell you how Farm Bureau Insurance keeps insurance uncomplicated in a complicated world. Speak with a local agent who can review your insurance and financial needs and guide you through every step of the way. 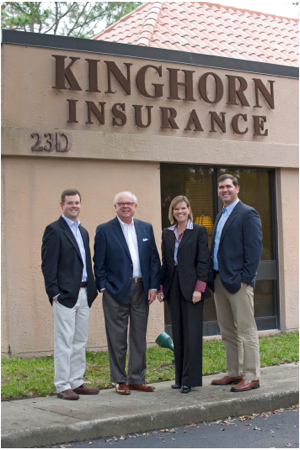 Kinghorn Insurance Agency has been a trusted member of the Lowcountry community since 1898. Locally owned and operated, we are dedicated to addressing the area’s property, automotive, marine, personal and commercial needs. As independent agency, we offer professional, personalized help for businesses and homeowners. Our longevity is the result of being focused on our customers, experience, communication, and trust. We are claims tested and easily accessible. The partners include James “Jimmy” Rowe, William “Bill” Fuge, Evan Jeffords and Missy Layman. We live here, so we know the market, and we care. We are your neighbor: We understand specific types of insurance coverage you need because we need them, too. Kinghorn Insurance Agency can help you determine how much business insurance is right for your company. When considering home insurance, local homeowners can trust us. We live here, so we know the market, and we care. We are your neighbor: We understand specific types of home, auto, flood, liability and the marine insurance coverage you need. One of the most important insurance decisions you can make for your family or business is health insurance. Kinghorn Insurance has one of the area’s most knowledgeable and experienced agents, who understands how to navigate the maze of healthcare options. We build relationships! Through our invaluable relationship with relevant carriers and brokers, Kinghorn Insurance can offer premier policies. You are always welcome to call or come by to speak with a Kinghorn Insurance agent to learn more about coverage options, to ask questions, to receive and discuss our recommendations, or to get a quote. We would like to have the opportunity to know you. Our quotes are competitive, and you will get our best price the first time. 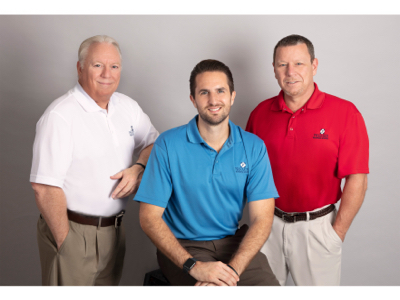 Seacoast Insurance has been insuring the families and businesses of Hilton Head Island, Bluffton and the South Carolina Lowcountry since 1981. We are locally owned and proud to call this area home and to participate in making it a special place to live. We proudly support many local organizations including Hospice Care of the Lowcountry, Fellowship of Christian Athletes, Programs of Exceptional People, the Island Recreation Association and the Zonta Club of Hilton Head Island. We are also members of the Chamber of Commerce, Hilton Head Realtors Association, and Mortgage Lenders Association. We represent a number of highly rated insurance companies for all your personal and commercial insurance needs including homeowners, auto, condo/renters, umbrella and business. 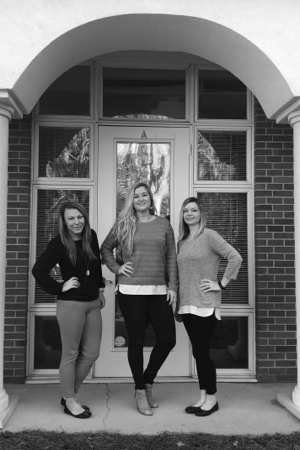 Bailey joined our agency a year ago after living on Hilton Head for almost a decade. Originally from Kansas City, Bailey loves the community feel and the passion for small businesses in the area. You can find her at the beach or out enjoying the sun in her free time. Kate Boardman, a Hilton Head Island native and stepdaughter to Ray Craver, made the move over to the family business four years ago and hasn’t looked back! Being able to live and work in the Lowcountry is what motivates Kate, and being able to help her clients navigate through the insurance world inspires her daily. Erica Carver came to our office four years ago from Kentucky and has over 20 years of experience in the Insurance world. Erica and her family moved to the Lowcountry for the sunshine and sand. Give us a call or stop by our office in the Main Street area for a free quote! Belmont Insurance Services is a locally owned and operated independent insurance agency, dedicated to improving the insurance programs and services of our clients. We focus on developing comprehensive and cost-effective insurance programs for families, individuals and businesses located in our community and throughout the country. We have the industry experience, knowledge and skill needed to assess your risks and recommend insurance solutions to minimize your exposures. Our agents are licensed in most states and can address your insurance needs regardless of where your exposures may be located. Many of our clients come to us initially as seasonal or part-time residents. We start our relationship with them by providing insurance for their seasonal home and perhaps the car they keep in South Carolina. Eventually, these clients get to know and appreciate the quality of the service we offer and ask us to provide that same level of service and attention to their out-of-state exposures. We represent several national and regional underwriters who appoint us to represent them across the country, so we can provide our clients with the convenience of dealing with a single source for all their insurance needs. Please call or stop by for a no-cost, no-obligation review of your current insurance program. We will highlight the shortcomings of percentage-based wind and hail deductible if you have one. More important, we can typically offer insurance policies without percentage-based wind and hail deductibles at very competitive prices. Let us put our experience and skills to work for you.